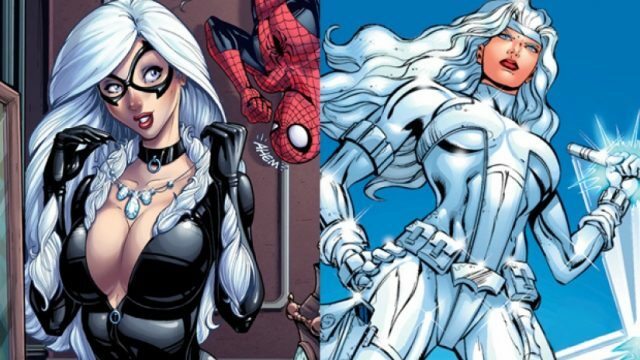 Despite the fact that Sony has decided to confound us all by building a cinematic universe of their own comprised of Spider-Man’s supporting characters that doesn’t seem to actually be inhabited by the icon himself, it’s very hard not to look forward to a movie starring Black Cat and Silver Sable, even if it could use a better title than Silver & Black. But as is the case with any superhero movie, we can’t help but wonder who the antagonists will be. Well, according to the folks at That Hashtag Show, there will be a handful. Fortunately, it won’t be the Sinister Six, but we still can’t help but express some concern because it appears as though Sony won’t ever learn from its mistakes and will continue to shoehorn as many characters into a given movie as possible. You’d think that overly bloated flicks such as Spider-Man 3 and The Amazing Spider-Man 2 – both of which led to the franchise being rebooted with the next entry to follow, mind you – would cause them to play it more conservatively, but it sure doesn’t seem like it. Anyway, according to the report, we can look forward to seeing these baddies: Mendel Stromm/Gaunt, Anton Rodriguez/Tarantula, Mac Gargan/Scorpion, Dimitri Smerdyakov/The Chameleon and Lonnie Lincoln/Tombstone. Now, it’s important to note that some of these guys are said to appear in smaller roles, so that may provide some comfort. Truthfully, it all comes down to how well the screenwriters can juggle various characters; you’ll either end up with a mess like the two aforementioned Spidey movies, or you’ll get something as well-balanced as Homecoming or one of the films making up The Dark Knight Trilogy. If anything here is to catch our eye, though, it’s the inclusion of Scorpion, which has previously been rumored. Granted, he may not be played by Michael Mando who took on the role in Homecoming, but knowing that Gargan eventually went on to bond with the infamous symbiote in the comics opens up the potential for some cross-pollination between the Venom movie and Silver & Black.